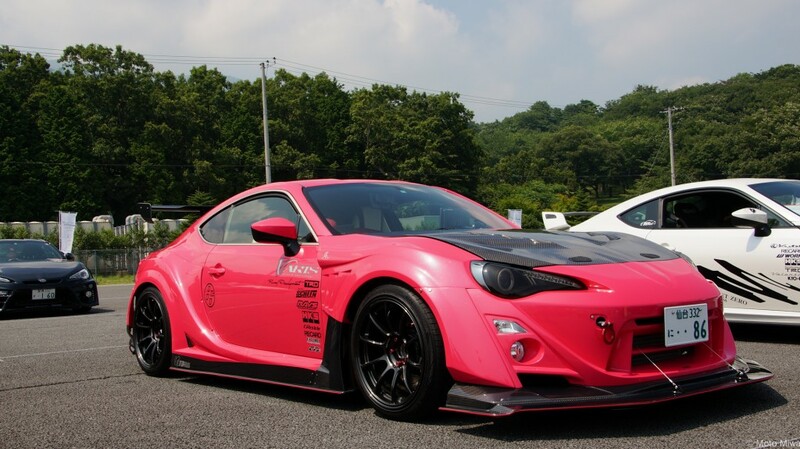 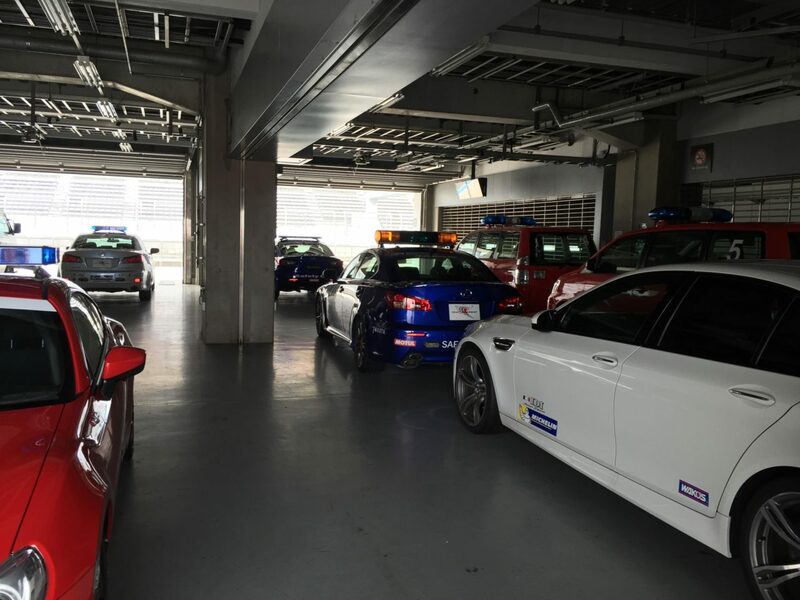 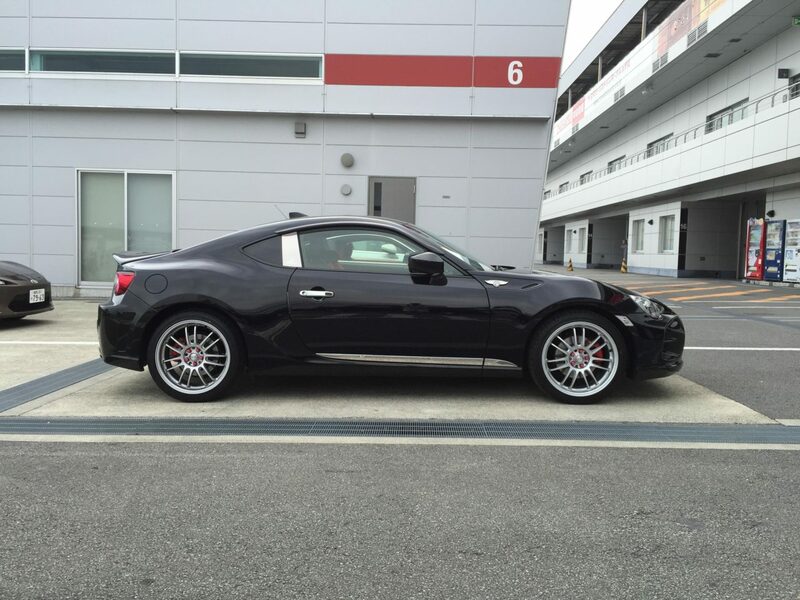 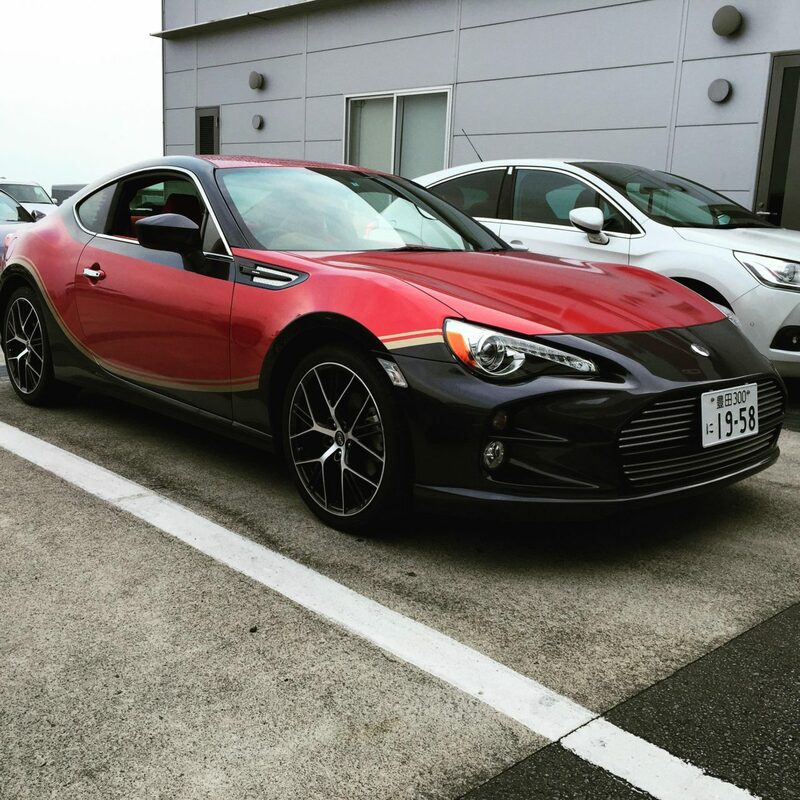 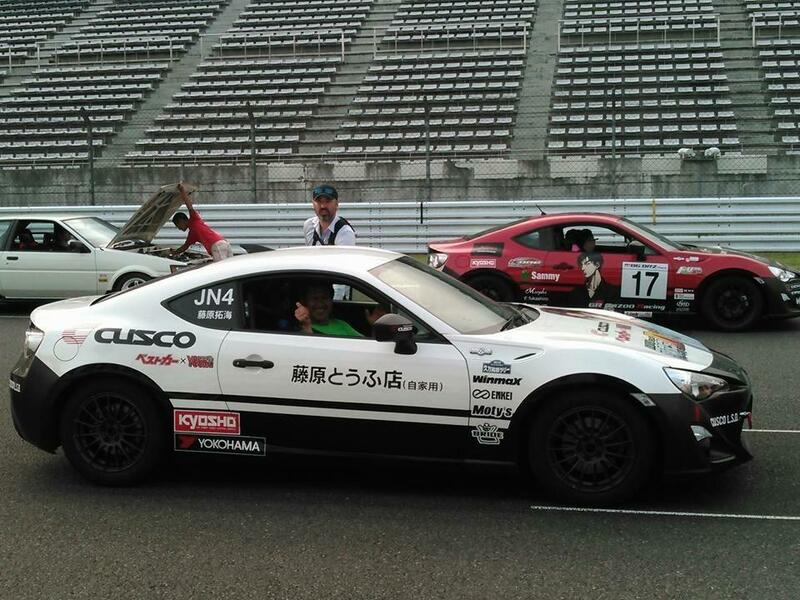 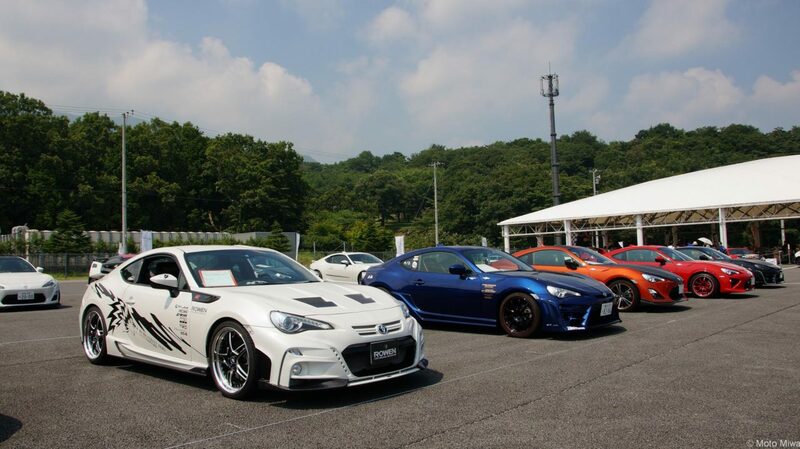 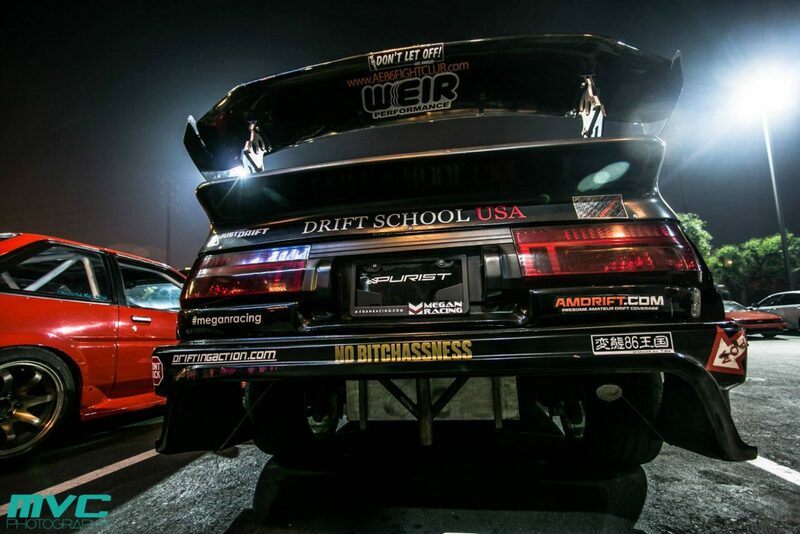 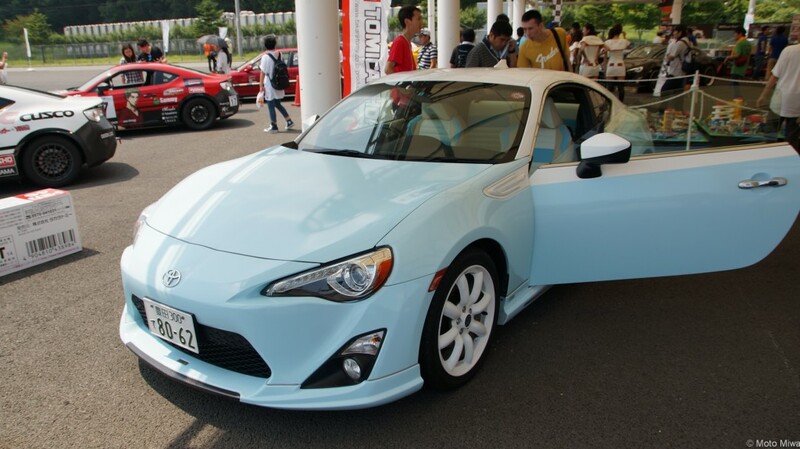 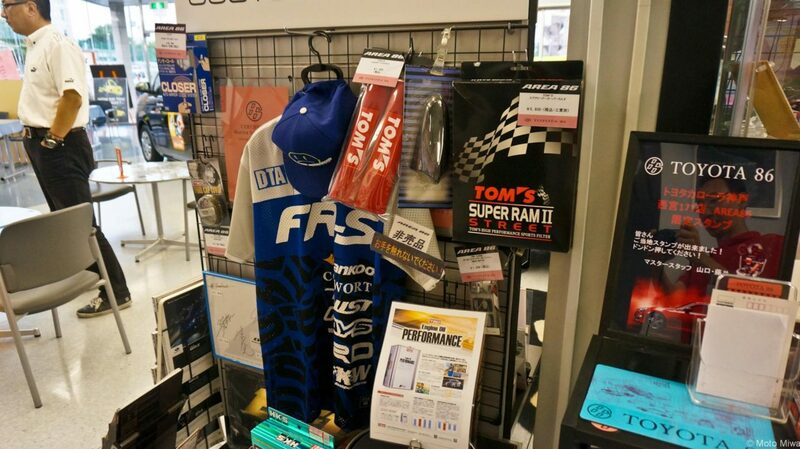 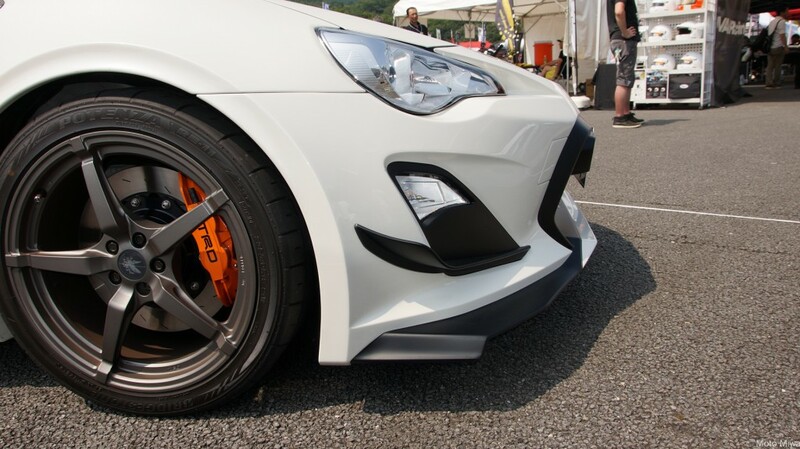 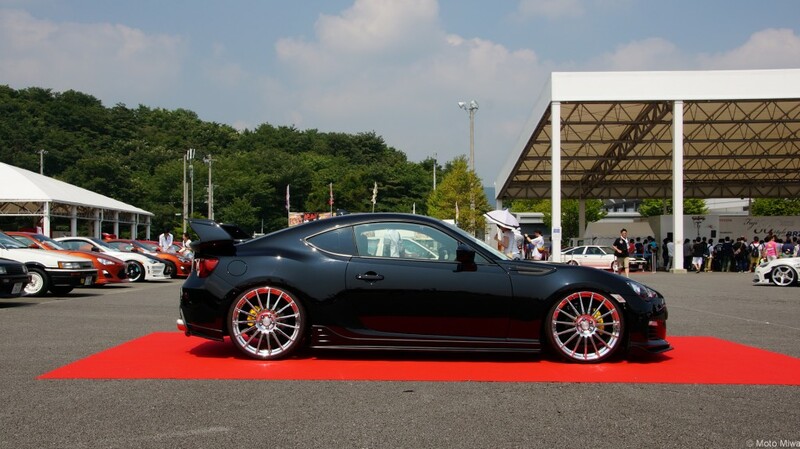 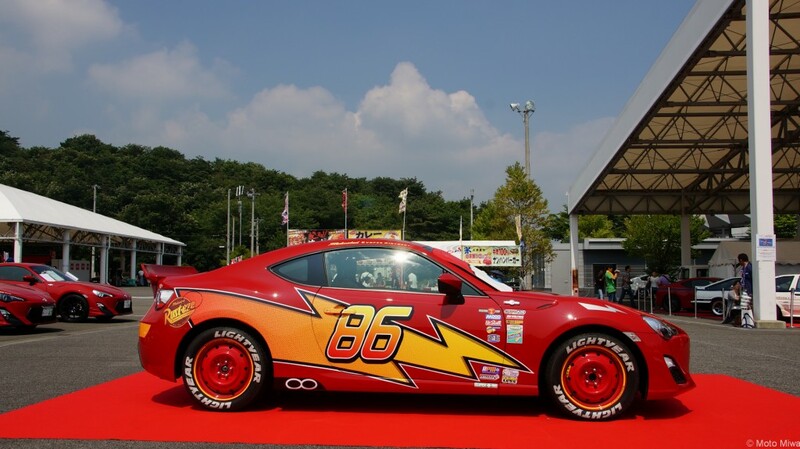 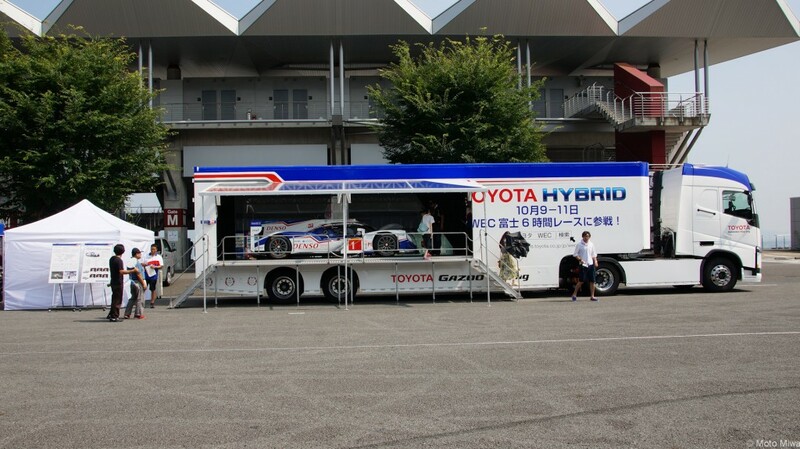 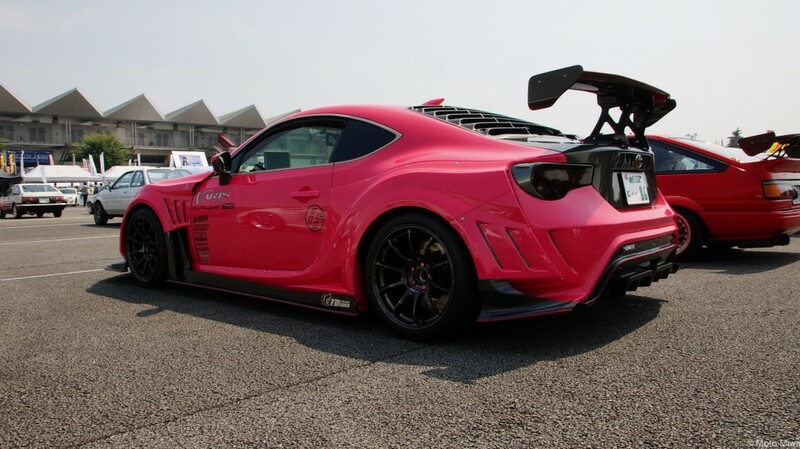 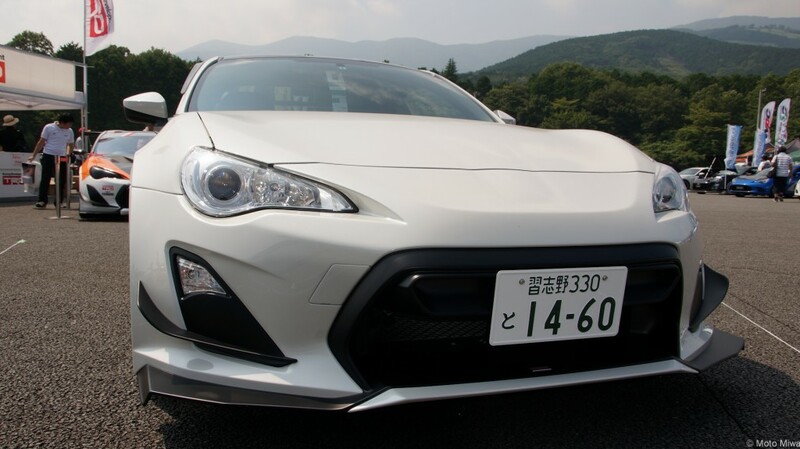 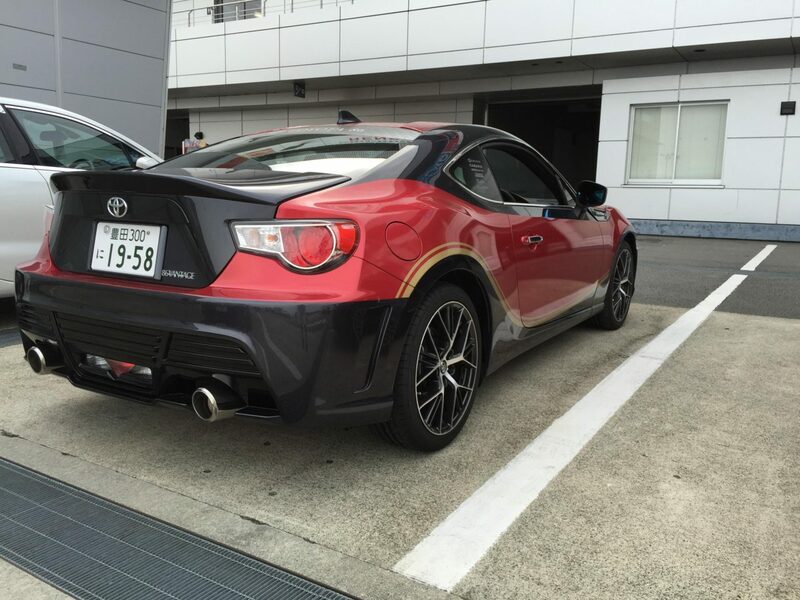 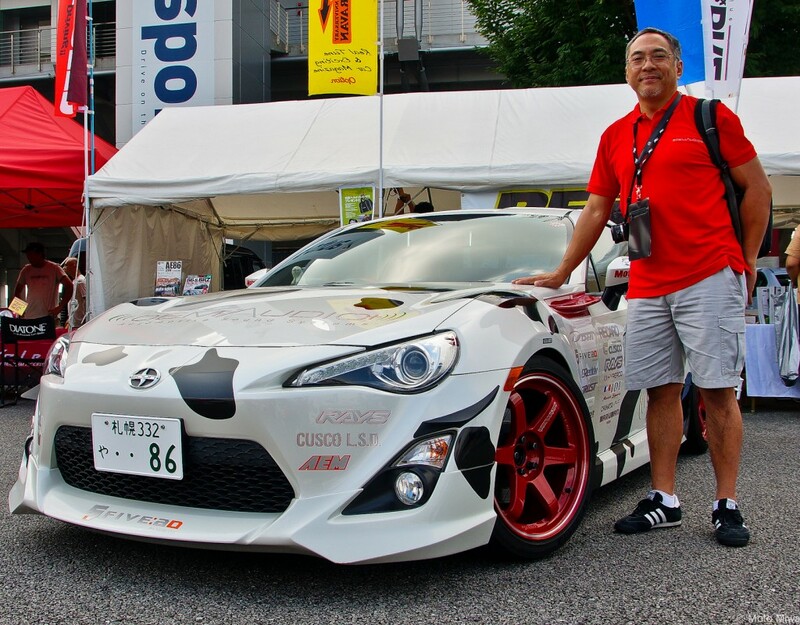 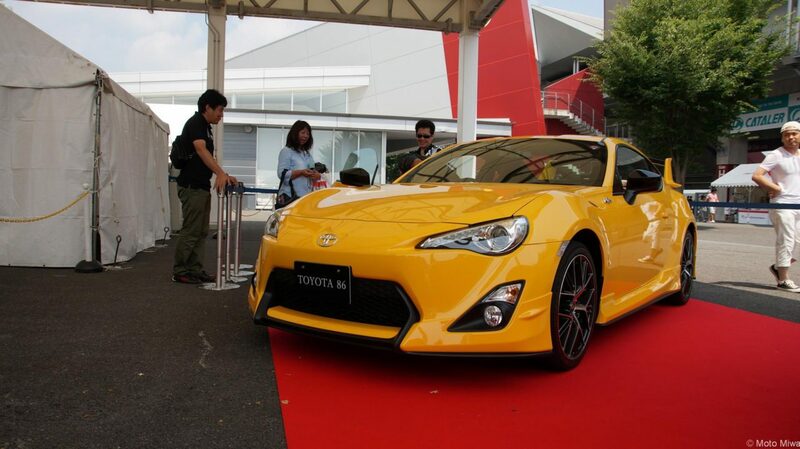 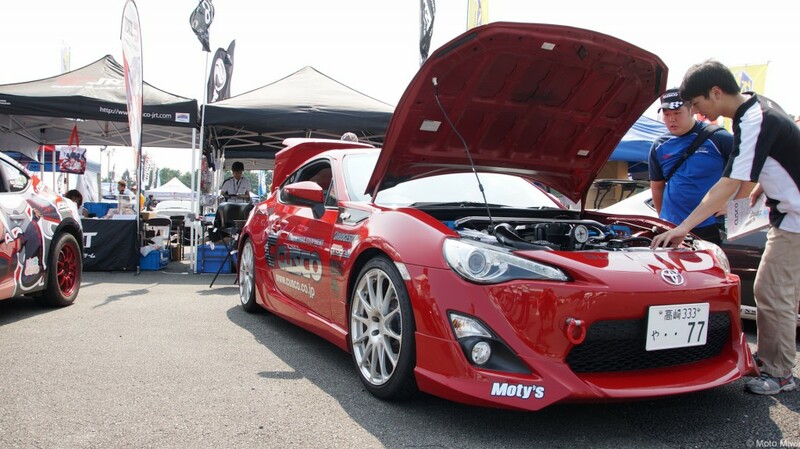 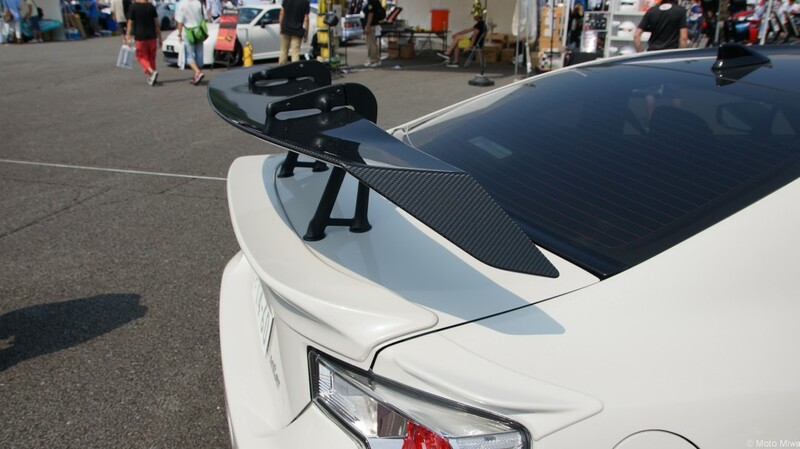 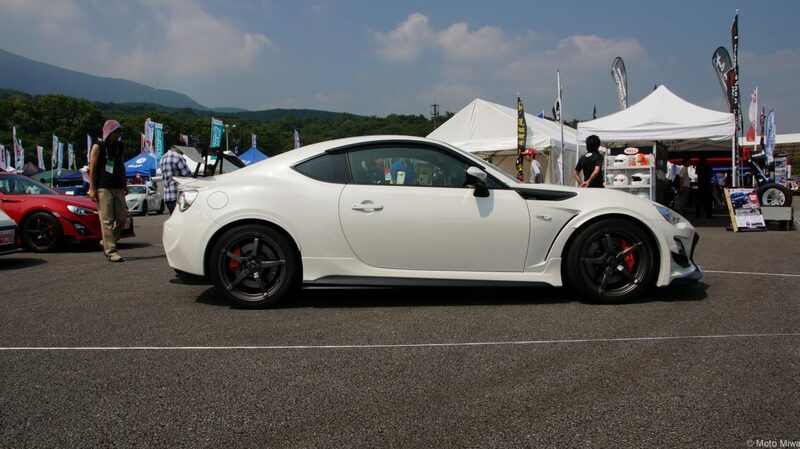 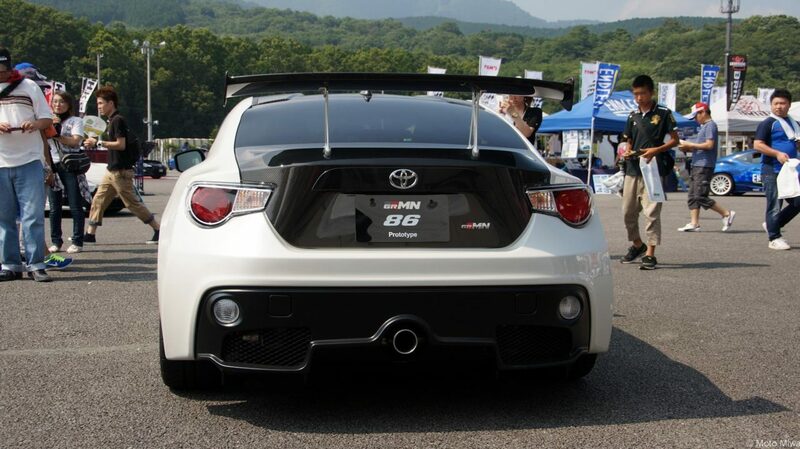 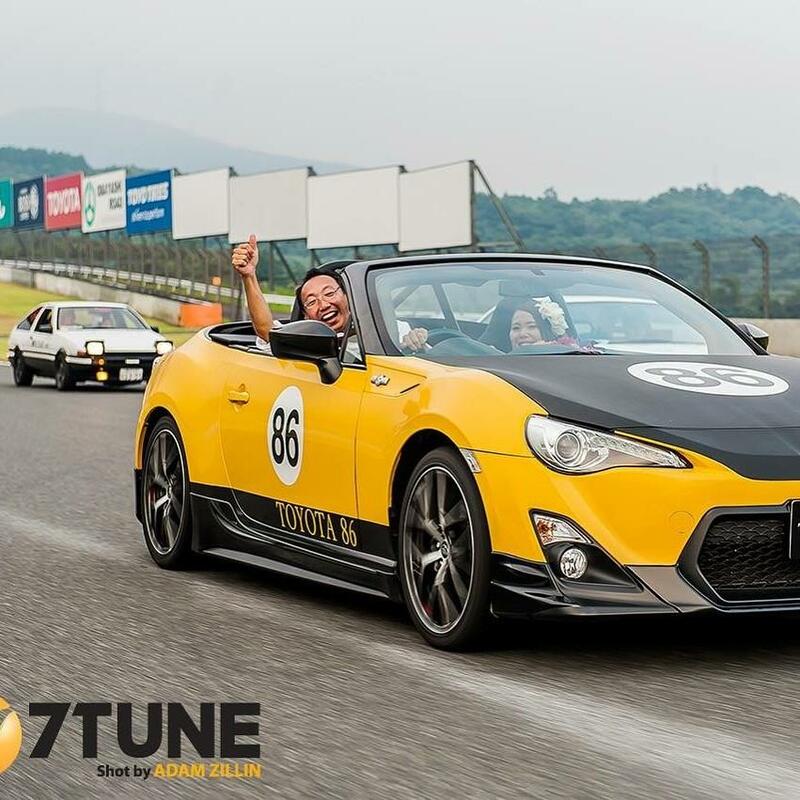 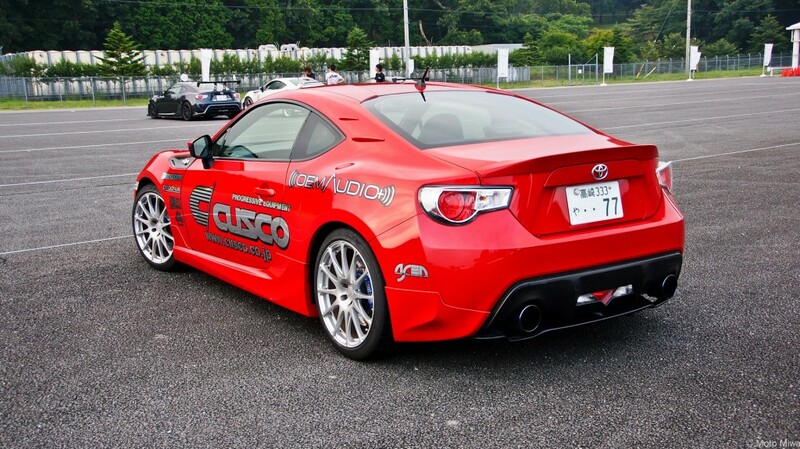 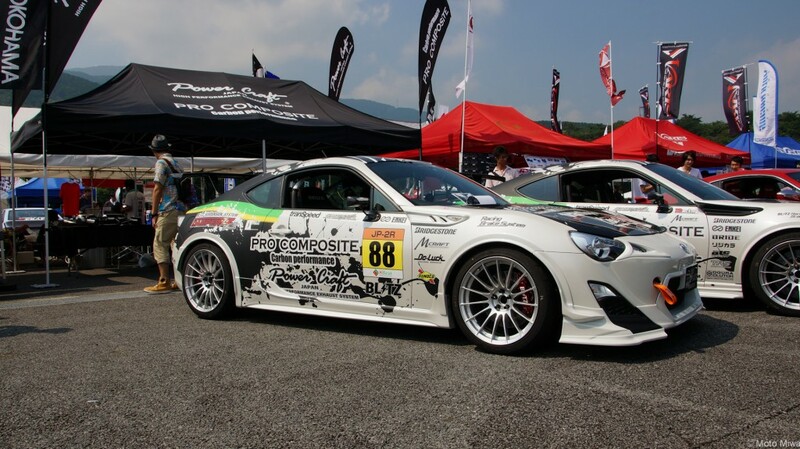 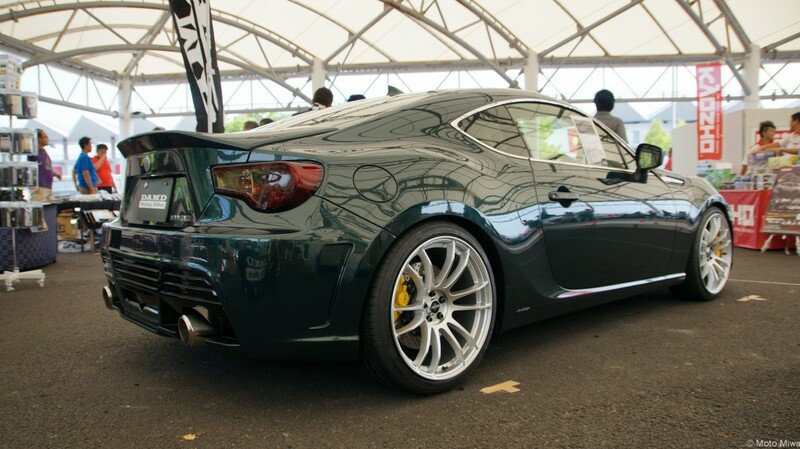 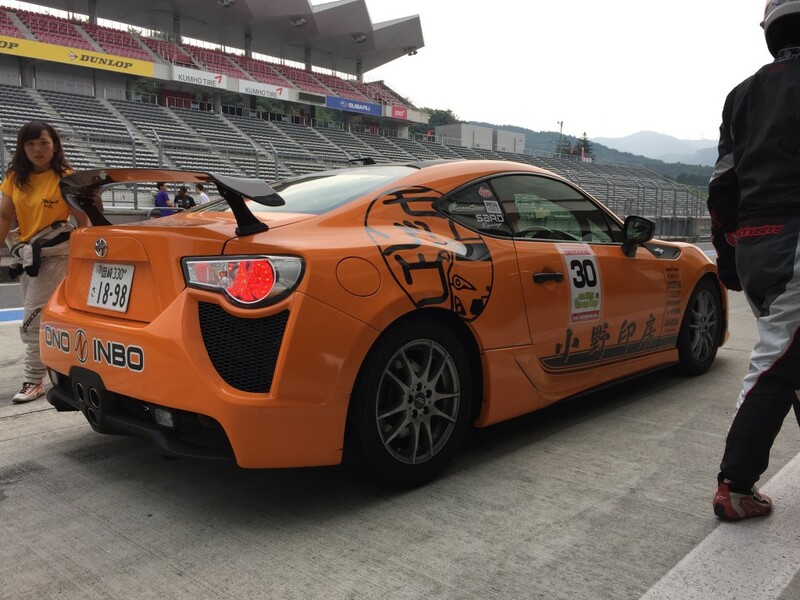 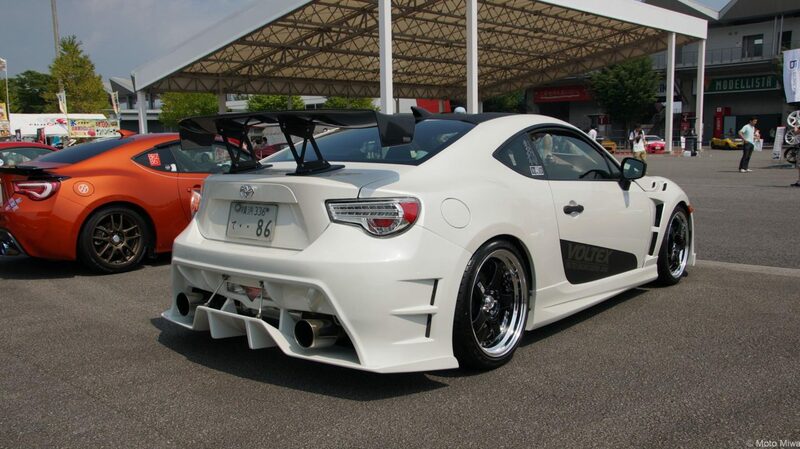 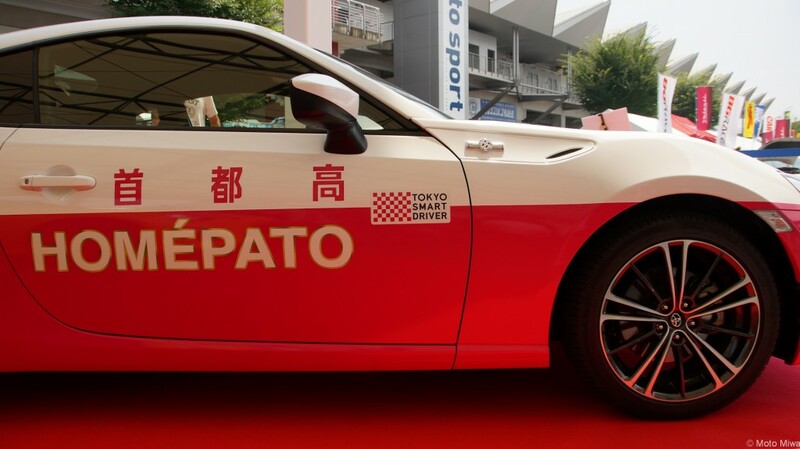 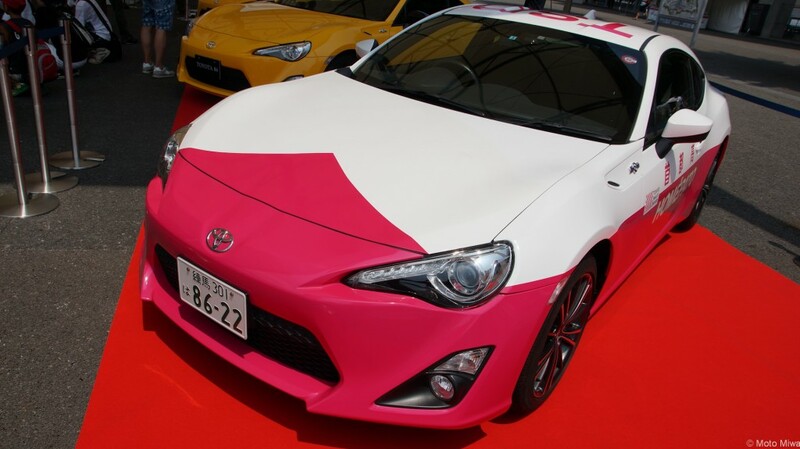 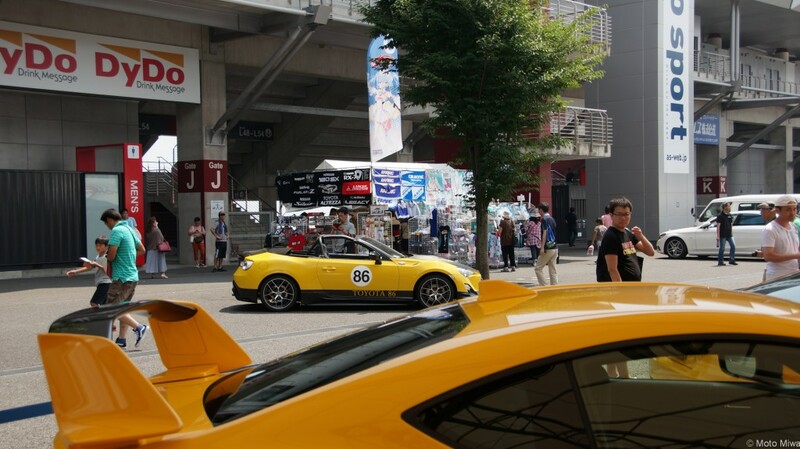 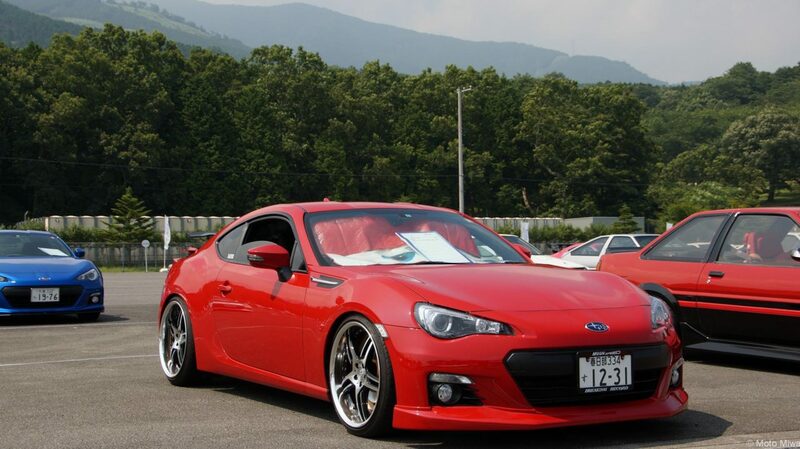 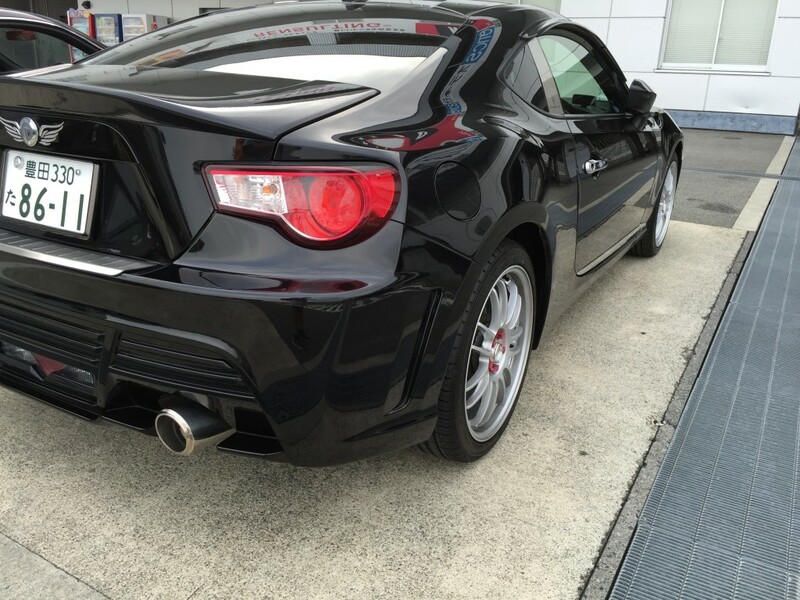 Again for the 5th year, the world's largest AE86, Toyota 86, and Subaru BRZ Event came to Fuji Speedway in Shizuoka Japan, this August 2nd, 2015. 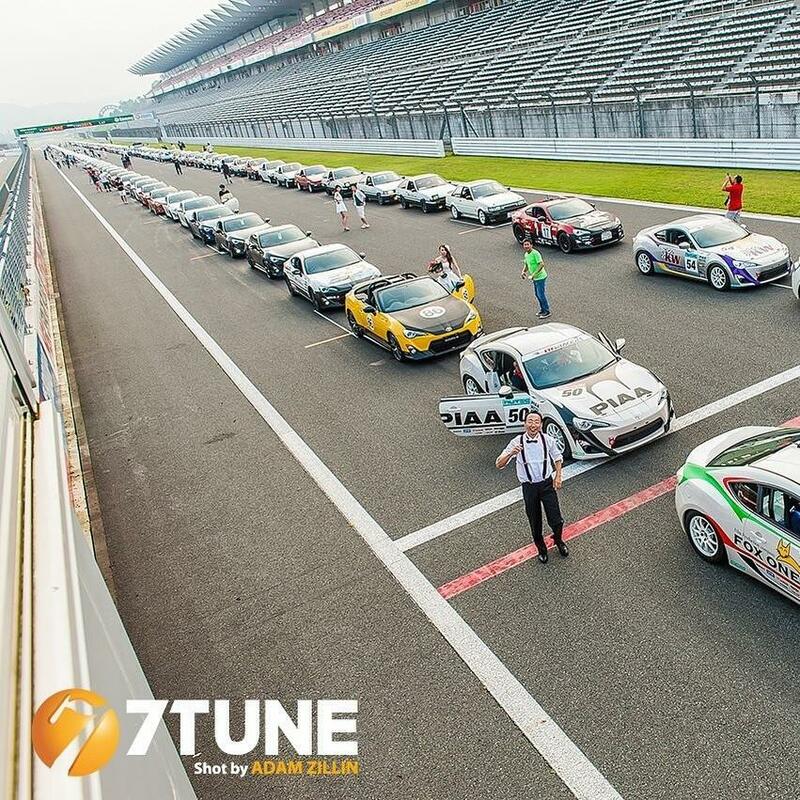 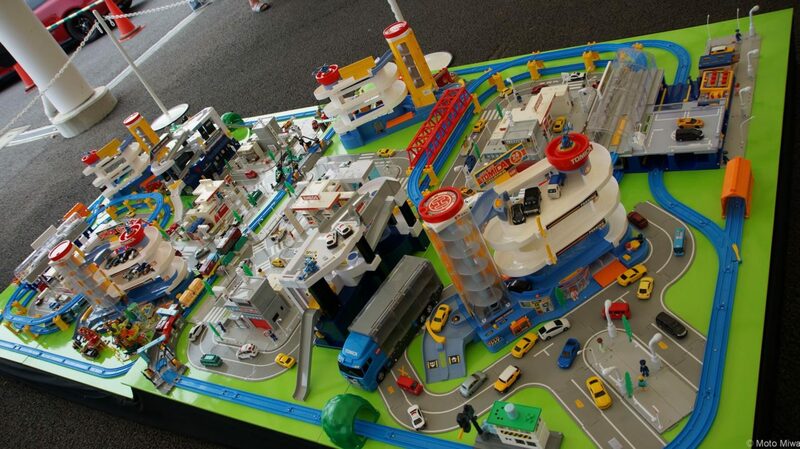 On site were 2100 cars, and 5000 people, who all took part in various things from gymkhana, road circuit racing, dirt trial, photography lessons, and many other interactive events. 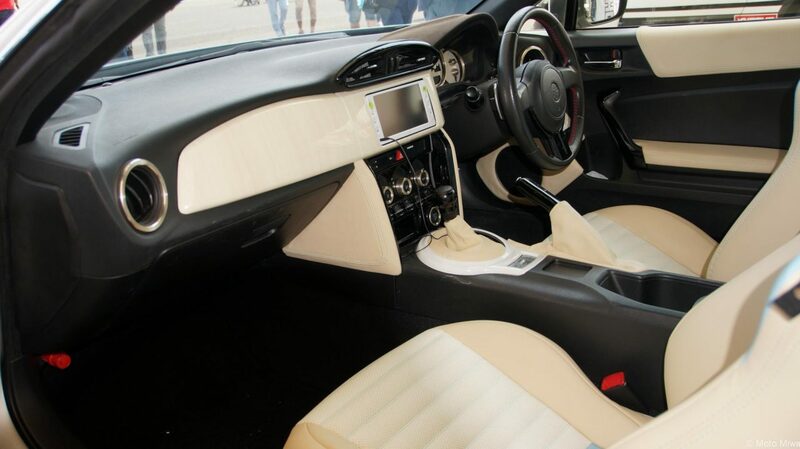 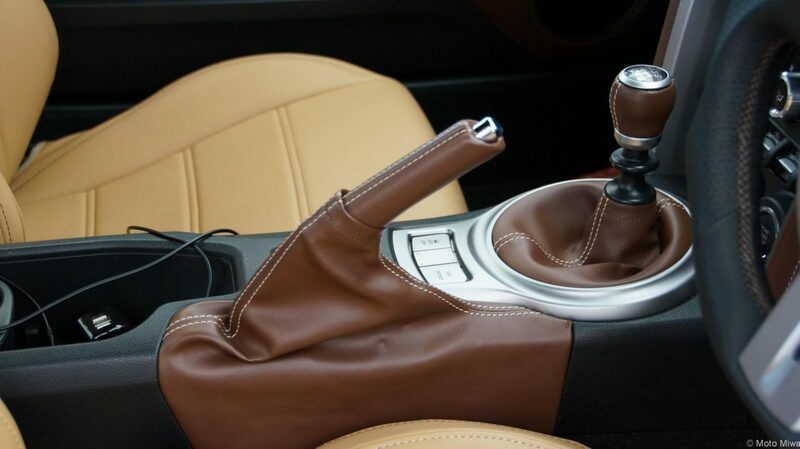 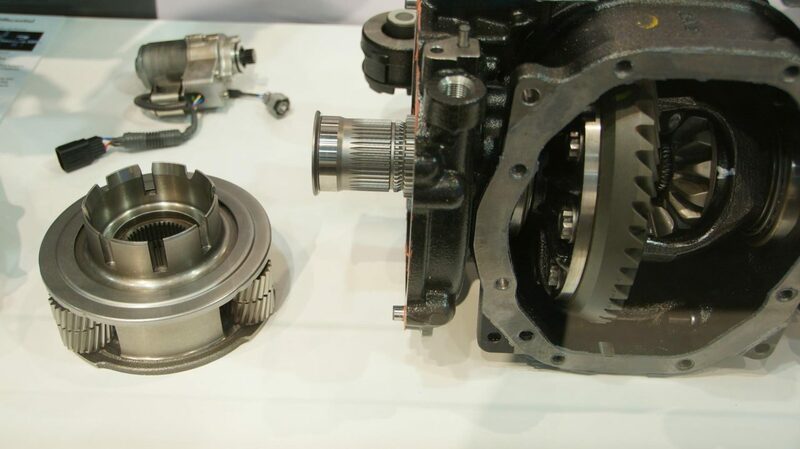 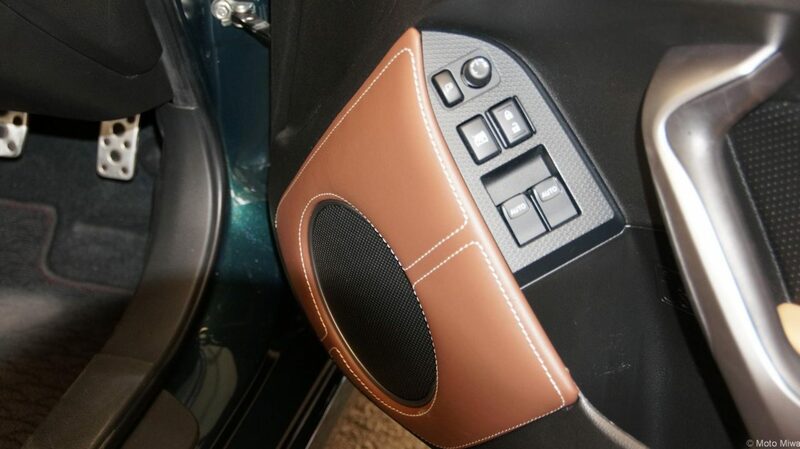 On display were all the recent concept cars, and production trends, new options, and 100's of aftermarket builders and manufacturers displaying the latest equipment. 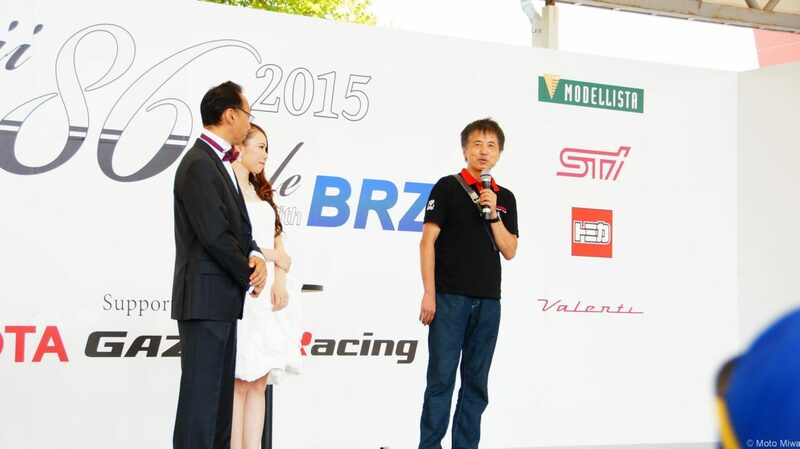 Celebrities in motorsports none short of Keiichi Tsuchiya, and Junichi Wakisaka, as well as Akira Iida came out to speak to the audience. 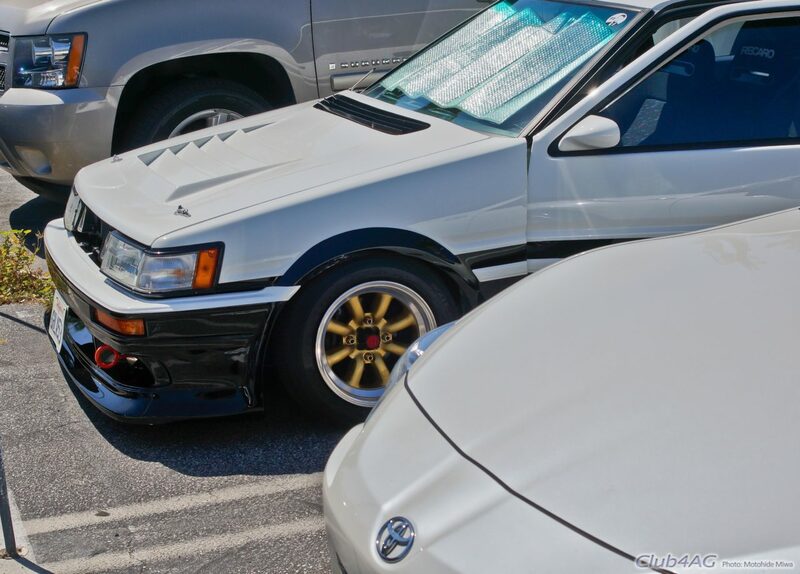 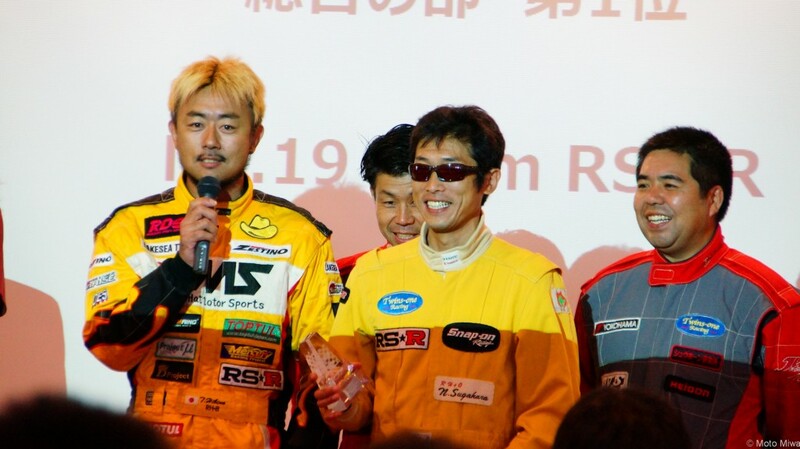 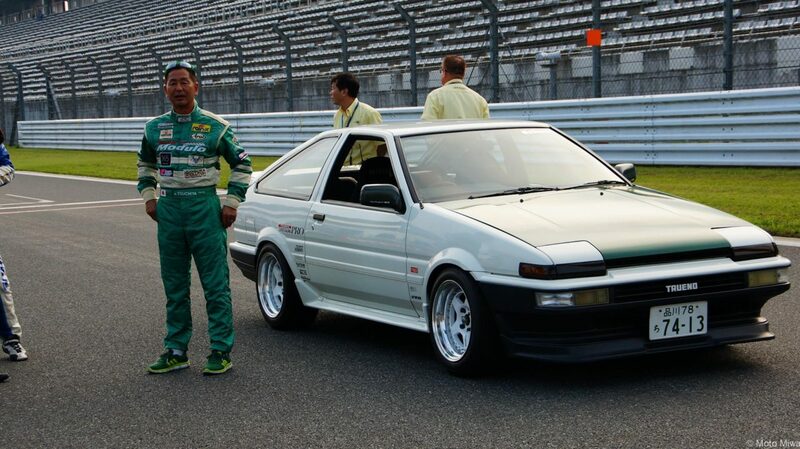 Event mastermind, Mr.Kishi of Toyota also hosted the annual 86 Green Cup as well, which the RSR Team along with Eric Kwon of RSR USA, won the title. 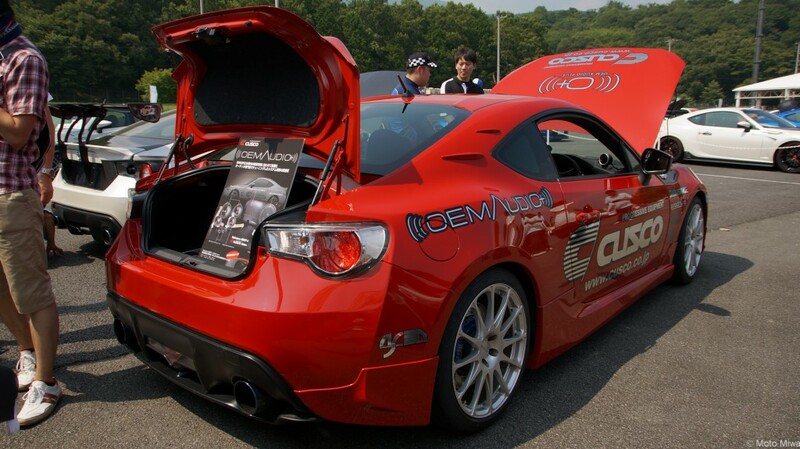 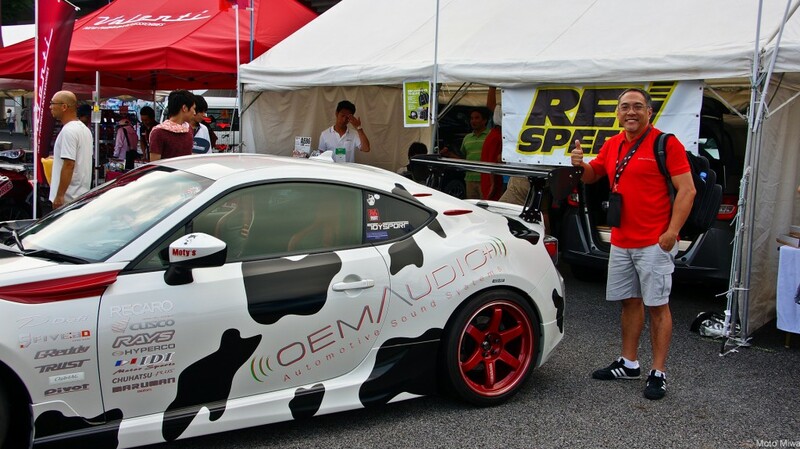 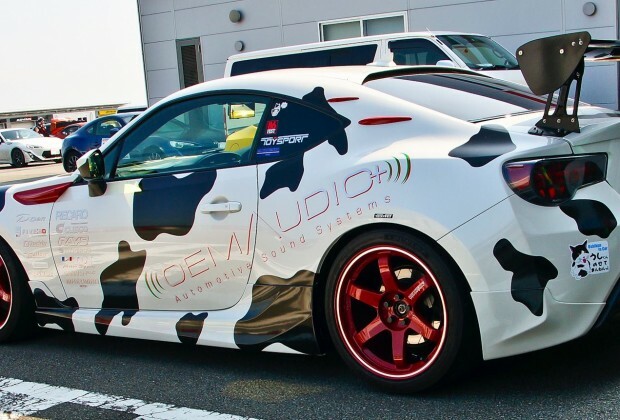 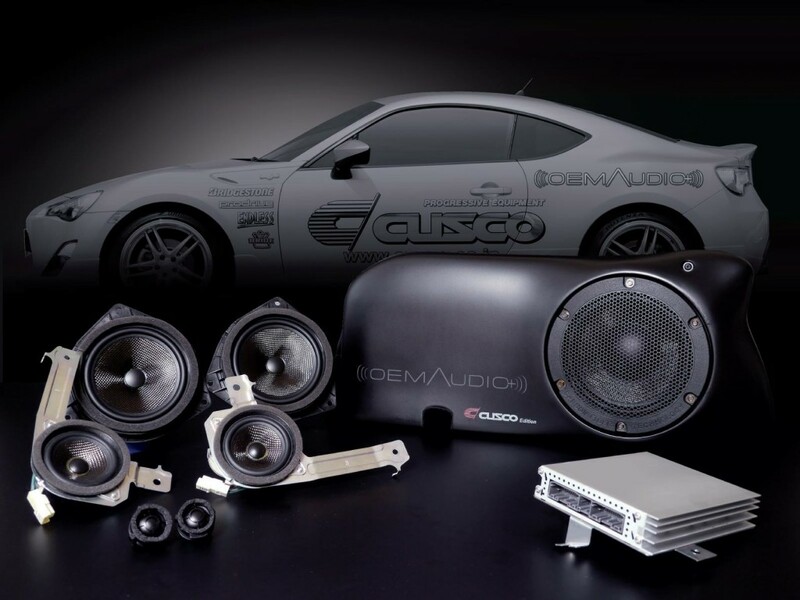 Sandy Lirag of OEM Audio+ came out to launch the Reference 400CF+J to be distributed by Cusco Japan for the Japanese market, wishing to equip more 86/BRZ users with unparalleled audio experience, and was represented by Cusco Demo cars, Bride Racing Seat demo car, and the famous Ushi-Kun colored Maruman 86 built with care by the one and only Hiromitsu Mannen of Maruman Motors Hokkaido. 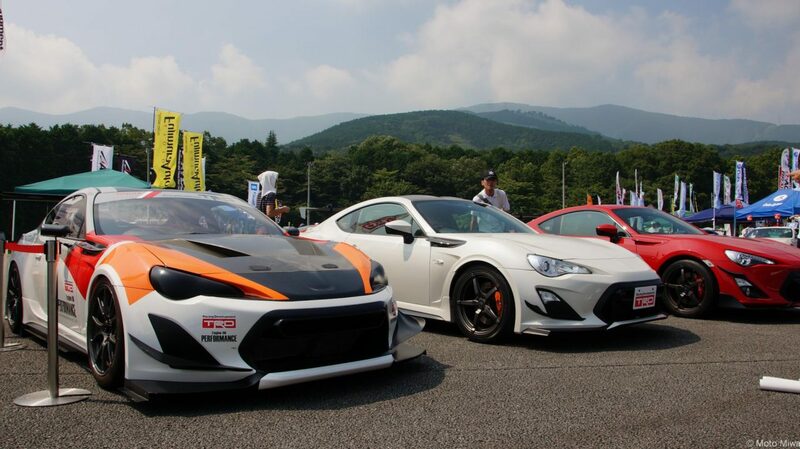 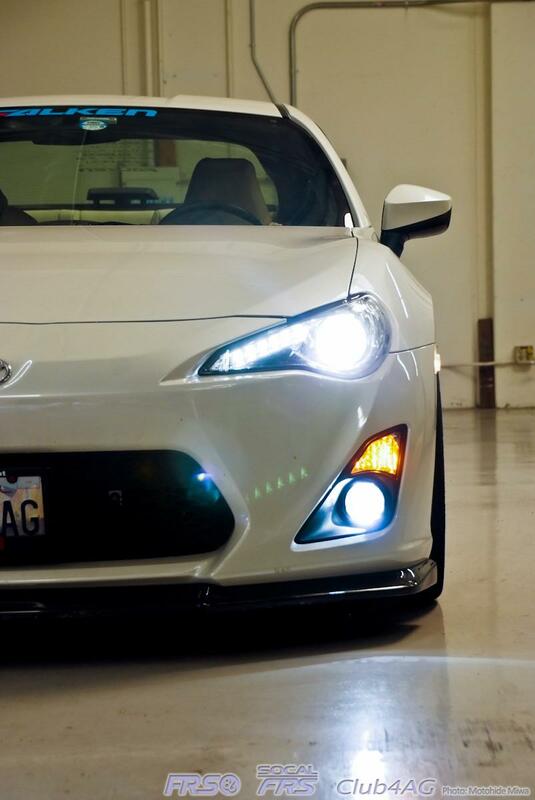 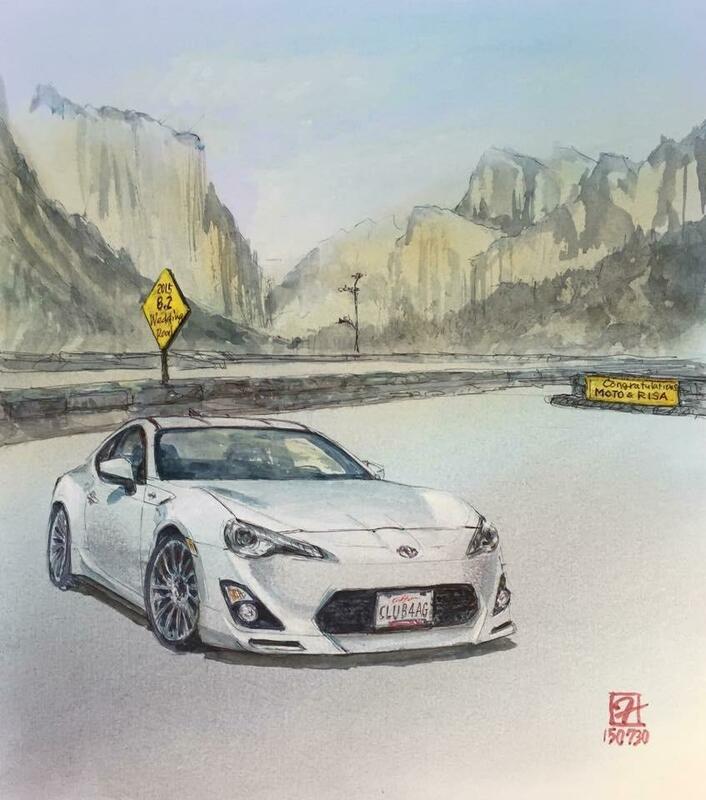 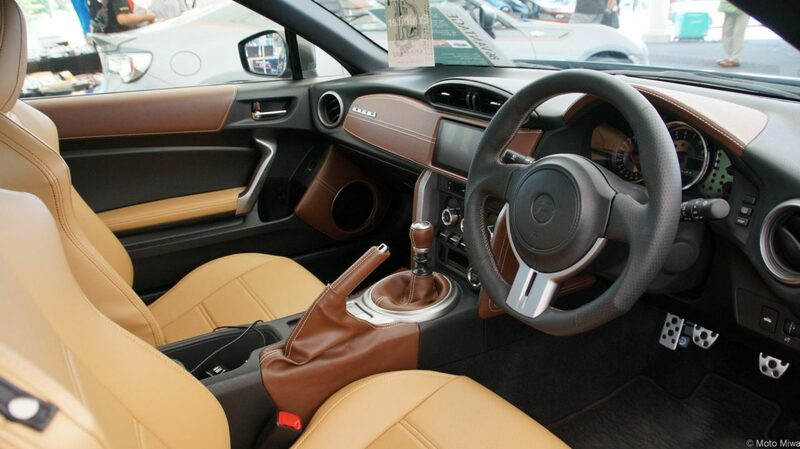 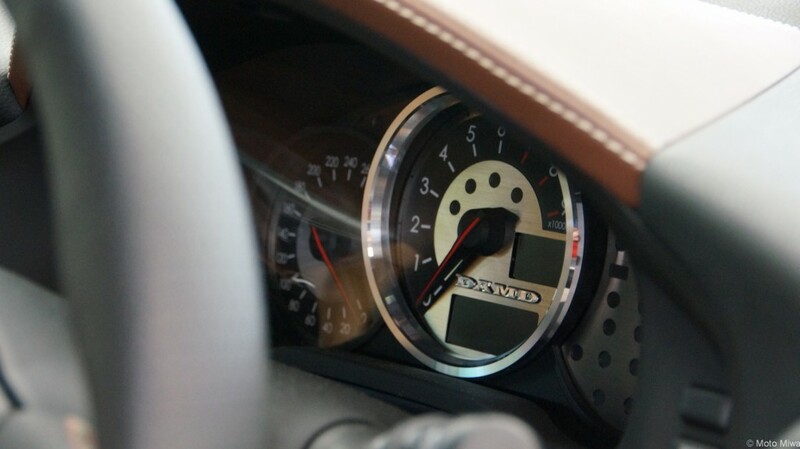 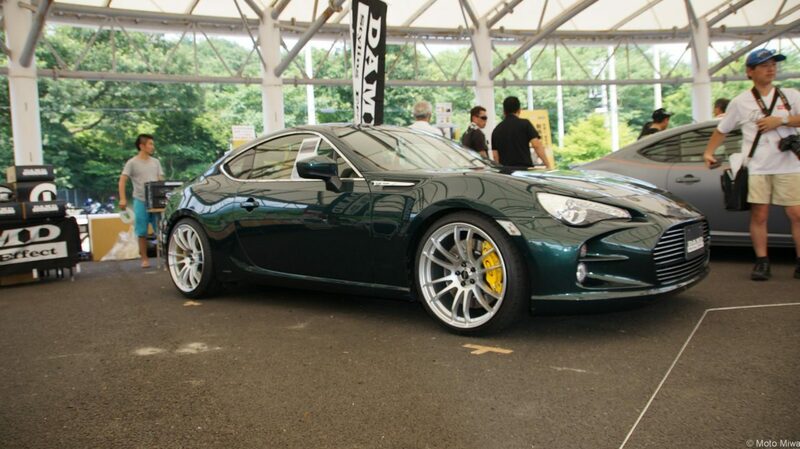 TRD brought out the latest with Yellow 86 TRD Nurburgring Package, the venerable and notorious limited edition 14R60, and the pace-setting concept racing car, the Griffon 014. 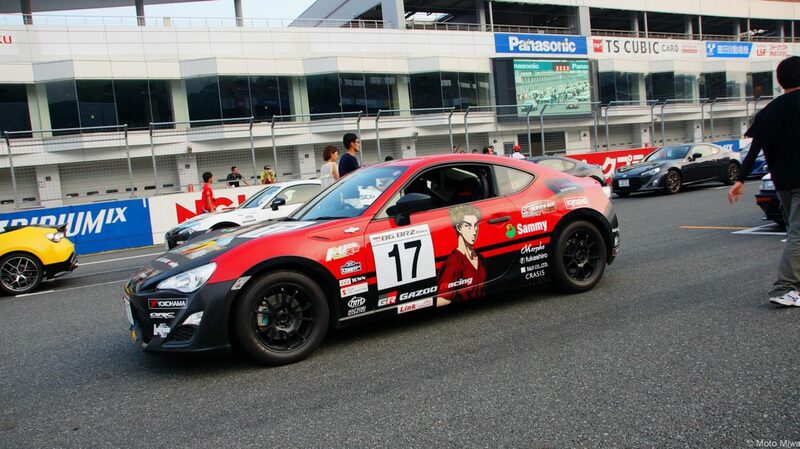 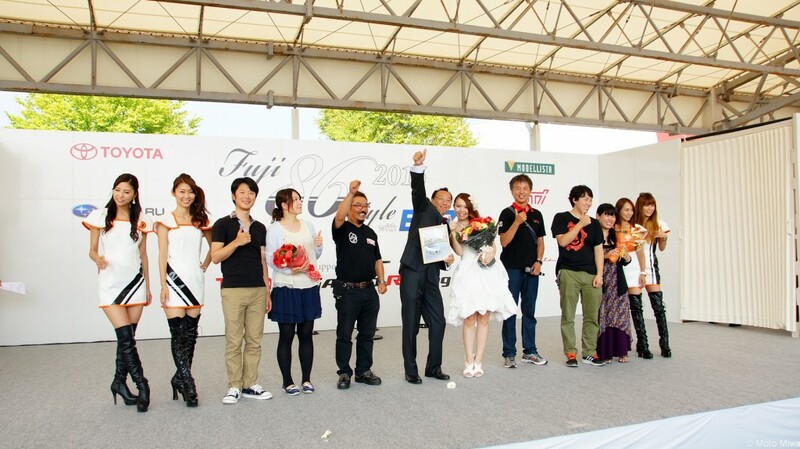 Initial D Girls graced the venue, as well as umbrella gals from every major manufacturers and N1 Taikyu and D1 Grand Prix Teams. 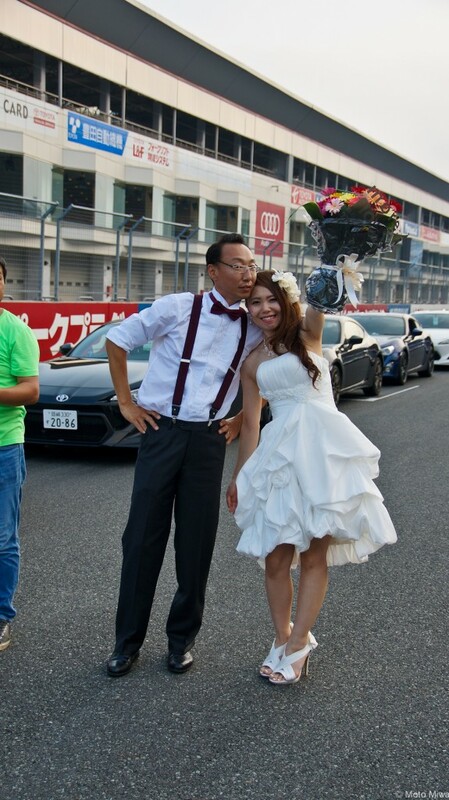 What made it most special for me though, at this event was that it was also the location of my wedding as well. 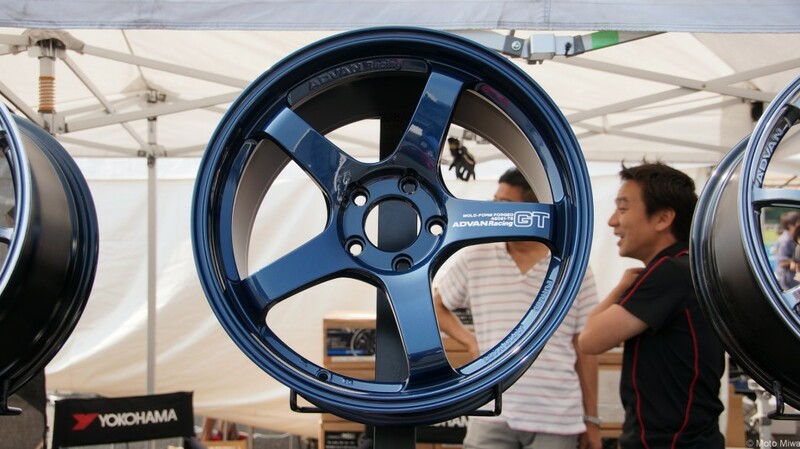 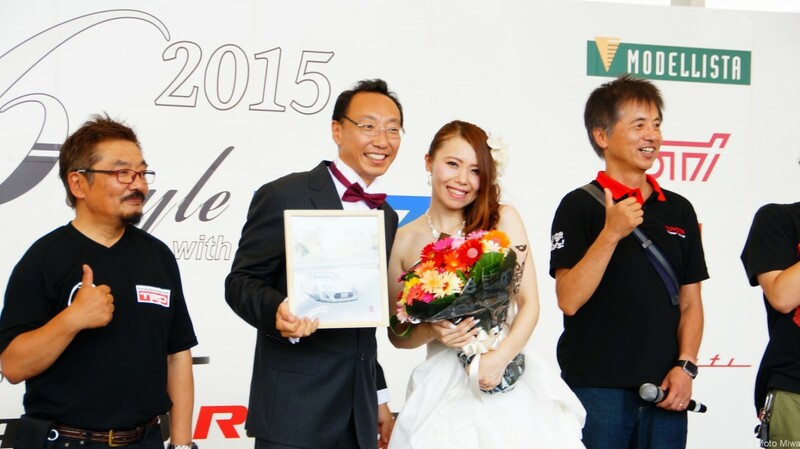 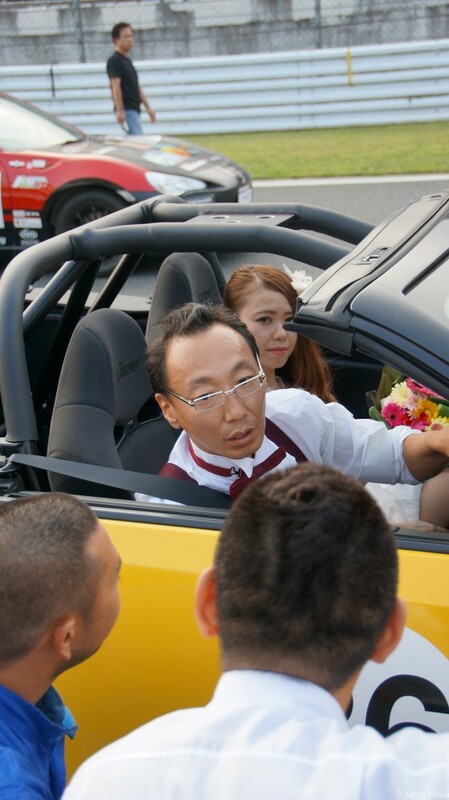 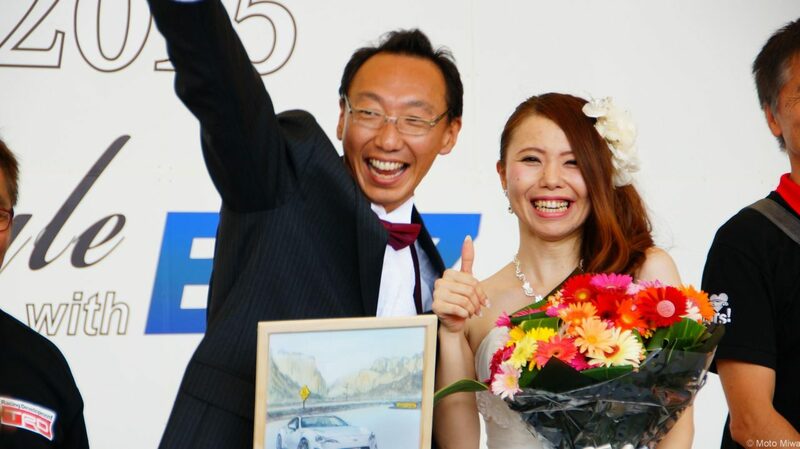 Accompanied by Mr.Tada, the Chief Engineer of the FT86 Project, as well as Chief Exterior Designer, Mr. Furukawa, my wedding announcement was held on stage with stories of my past introduced to the audience. 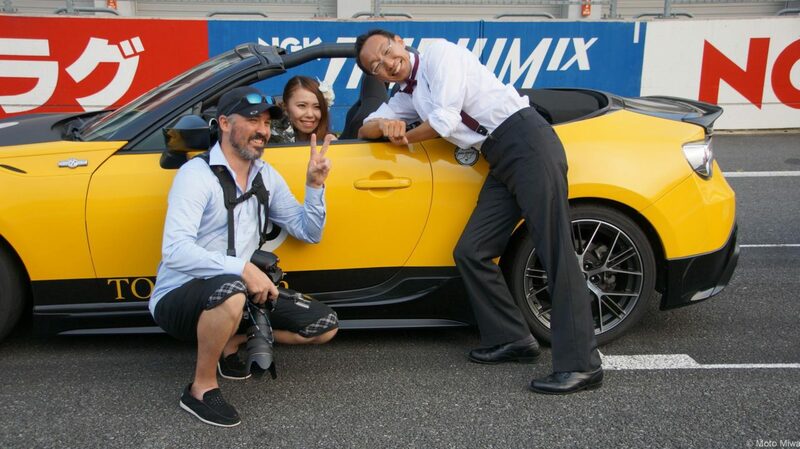 It's been a joy to be hosted by Toyota's key officials for the vehicle, and it will be a day to remember as one of the best, if not the best of my life. 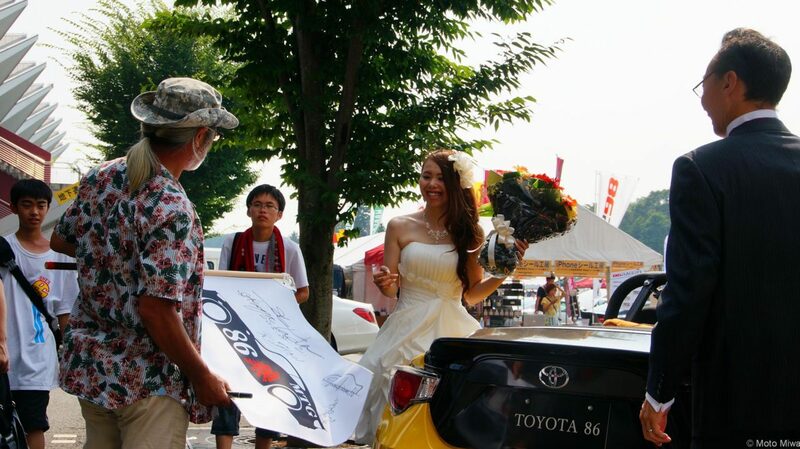 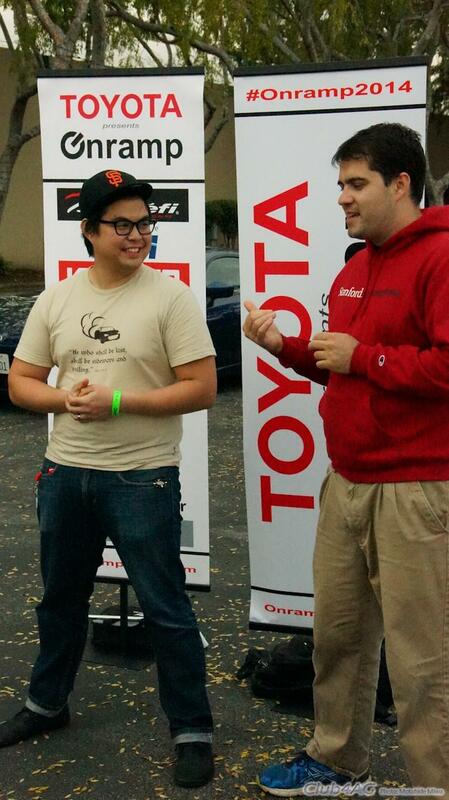 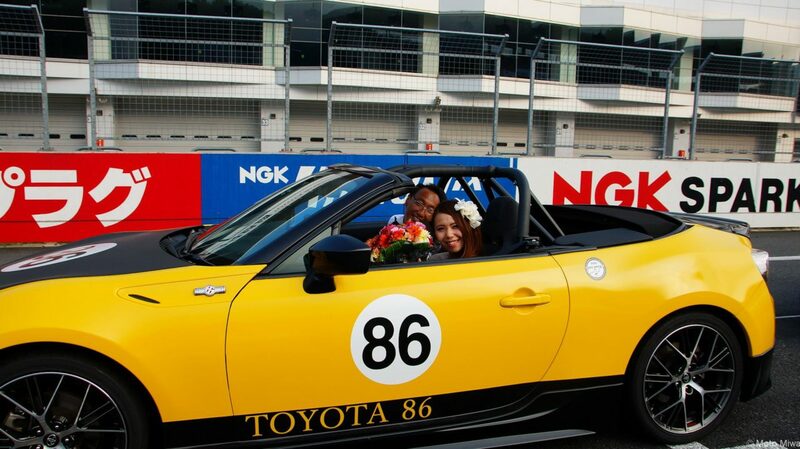 Joining me on stage were two other couples who've met with Toyota 86 activities, celebrating their joys in life as well.